I spent last week at home in San Francisco with Aaron beforeheading to Boston for a quick 36 hours. It was the first time in two years we were able to go back to California together which made the week all the more special. Aaron and I met in through friends that live about an hour and half north of San Francisco so while he’s been to SF a few times, we haven’t had a whole lot of opportunity for me to share with him my city. You know like my favorite coffee shop, where to get the best burrito, where I learned how to drive, or where my first job was. I’ve been feeling really nostalgic lately so being able to visit and share those places with Aaron made the week that much better. SF is just plain FUN too. We ate and drank well, toured theamazing Airbnb offices thanks to a friend, watched some baseball and visited our college best friends. Being at home is both settling and re-energizing at the same time, which is exactly what we both needed after our busy summers at work. ^^^^^ the view from just around the corner from my house! 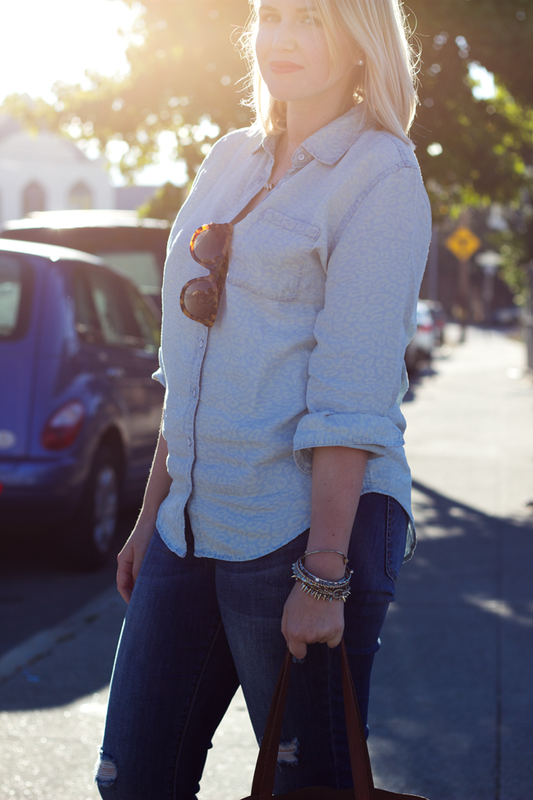 Love the denim on denim! Such a great look! Loving those shoes :) And did you get a hair cut? You look great! I love this look and your photos are amazing! 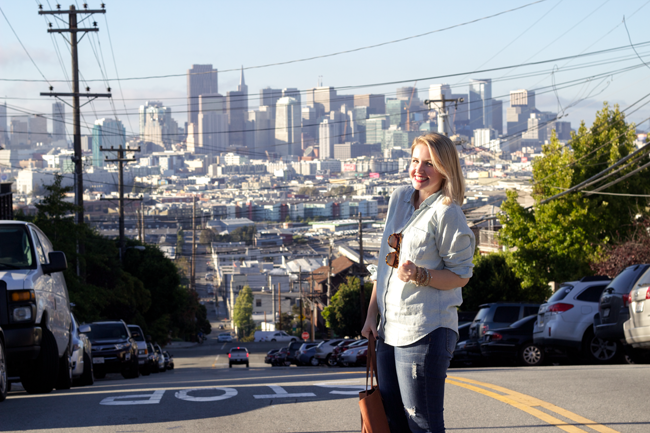 SF is my favorite city, and these pictures made me miss living in the Bay Area! 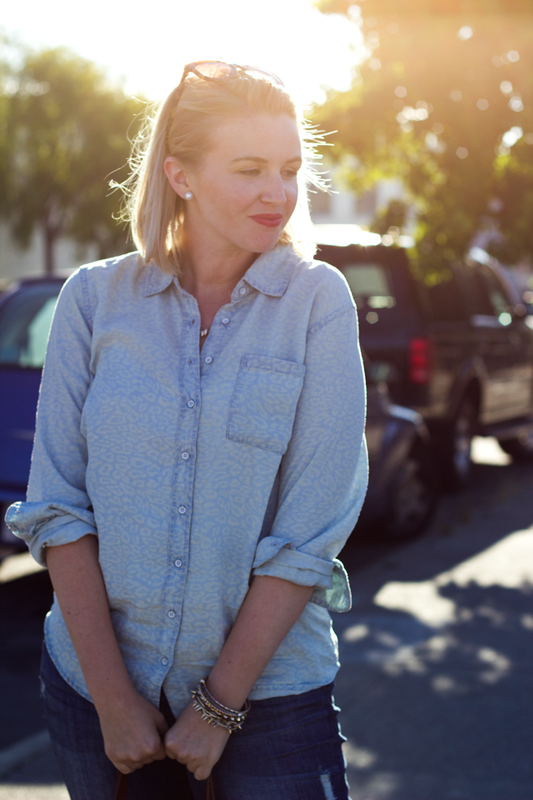 You are rocking denim on denim! What an awesome trip! I love your look. 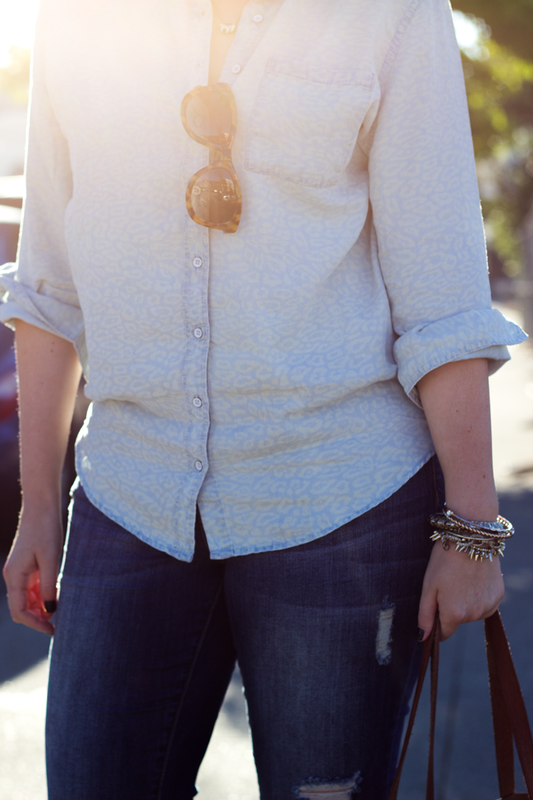 The leopard totally refreshes the chambray shirt, and I love the way you accessorized it!